Former Ireland captains Fergus Slattery and Tom Kiernan will be inducted with ‘Uncle Fester’ over the coming months. Keith Wood skittles George Gregan in the 2003 World Cup. IN A DEAL that makes gigantic sense, the International Rugby Hall of Fame and the IRB Hall of Fame have been merged. Both enterprises have run independently for a number of years but sense, and finances, have prevailed and all of rugby’s greats will now be immortalised under one roof. The international brand has been incorporated into the IRB model and, to mark the agreement, 37 rugby legends will join the ranks over the next year. Of the 37, many of whom are New Zealanders and Welshmen, are three former Irish captains. Fergus Slattery, Keith Wood and Tom Kiernan will be inducted to the hall of fame in the coming months. Between them, the men won 178 Test caps for Ireland and made 14 British & Irish Lions Test appearances. The trio will join the likes of Irish legends Willie John McBride, Tony O’Reilly and Jack Kyle. Other recent internationals that will be joining the greats include Sean Fitzpatrick, Joost van der Westhuizen, Grant Fox and Ieuan Evans. The induction ceremonies will also recognise ‘pioneers and greats from the women’s game and some of the great characters from the beginning of the 20th century’. Email “Keith Wood among three Irish rugby greats to join IRB Hall of Fame”. 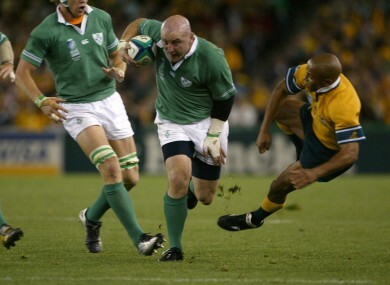 Feedback on “Keith Wood among three Irish rugby greats to join IRB Hall of Fame”.